Hey there big boy. 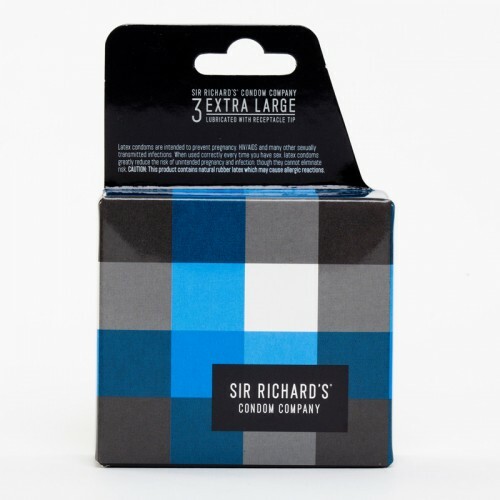 Our Extra Large condoms are created with those oversized packages in mind. If you’ve ever been mistaken for Ron Jeremy in the sack, these condoms are for you. Don’t sacrifice safety, comfort, or sensation. Celebrate your gift with a condom specially designed for the well-endowed. About Sir Richard’s Extra Large condoms: Sir Richard’s makes the world’s finest condoms. Each of our all-natural latex products is free of glycerin, parabens, spermicide and petrochemicals. They are Vegan certified, PETA approved with minimal latex odor. We utilize numerous tests to ensure your safety and a number of more enjoyable tests to ensure your pleasure so enjoy them confidently. And, for every condom purchased by discerning people like you, one is donated to someone in a community in need.